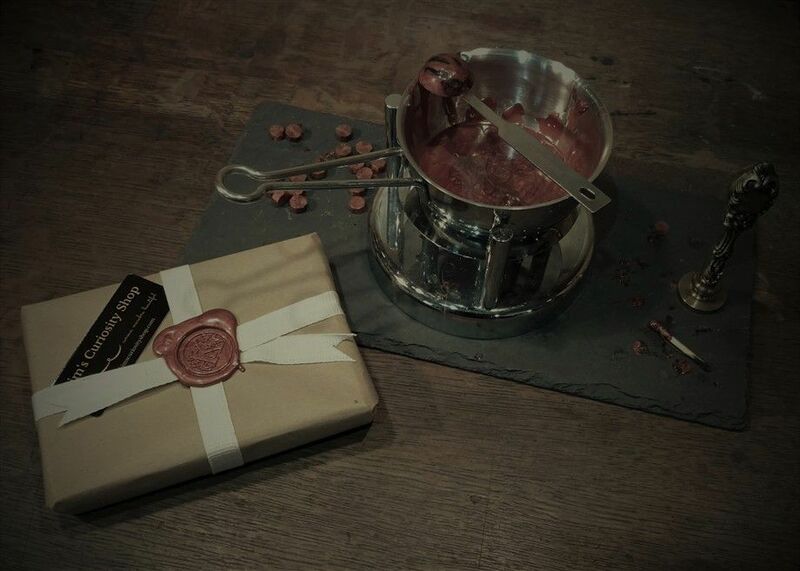 We want our customers to feel special, and there's nothing to make you feel more special than receiving a wrapped gift. Our wrap and seal service is something we thought would help us to say 'Thank you' to our customers for choosing us. 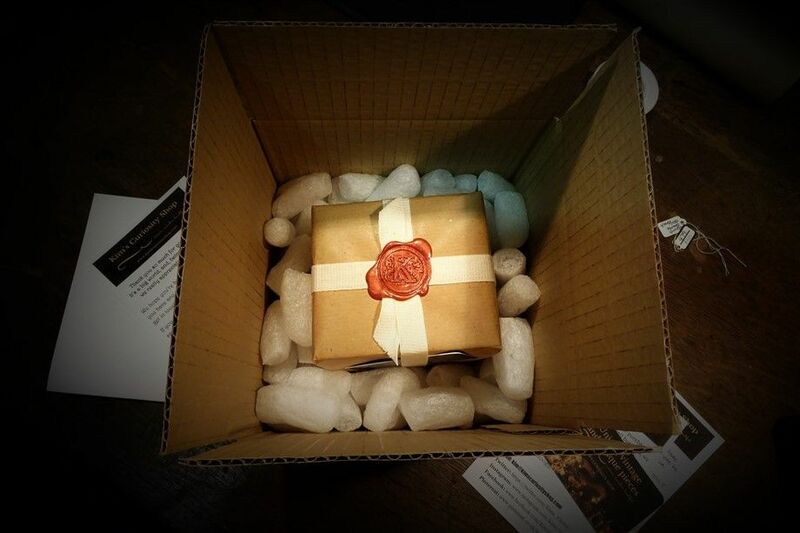 So, when you make a purchase from Kim's Curiosity Shop, your item or items will be wrapped with brown paper, then tied with legal tape and finally sealed with hot wax. This is all part of our personal service and included as standard in the postage costs. We hope that you'll look forward to receiving your order, which will be dispatched at our earliest convenience, and that when you receive your parcel, you'll enjoy opening it and feel great for the rest of the day because all our customers are very special to us.